In the early 90s, Mark Baier was working as a stockbroker, playing music for fun. Having finally made enough money for the first time to buy new music equipment, Mark excitedly purchased a brand new amp. He was unfortunately disappointed. The new amp didn’t sound anything like his old second hand amp. After comparing the electronics between his old and new amps, he realized that in order to have a new amp that sounded like his old amp, he’d need to build it himself. Knowing nothing about electronics, he taught himself 1960s electronics via his local library and then went to work. This incredible story was the modest beginnings of Victoria Amps. 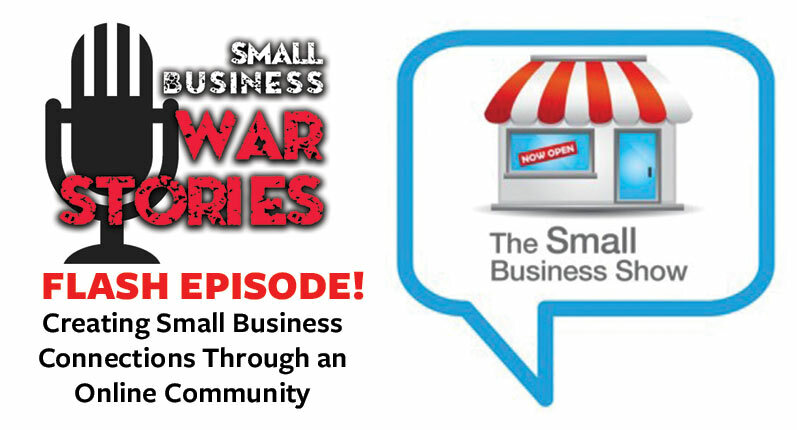 We get Mark’s full story and much more on the latest episode of Small Business War Stories. A summary of our interview with Mark Baier of Victoria Amps is below. What do you do, and for the benefit of our audience, how did the business start? Tell me how your electronics education was like taking a class from 30 years ago? The time machine concept is interesting because basically the amp you are selling is like going in a time machine to buy a brand new Fender, right? Was Fender back then a very different operation than it is today? What is the most important aspect or component to an amplifier’s sound? How do you judge and test the sound of an amplifier? What’s your process to design and build amplifiers? What’s the landscape in the amplifier market? Have you thought about making Silvertones like the way Silvertone used to make them but with your level of quality? What are some of the oddest, wackiest things that you’ve seen in your line of work? Can you think of a time when things didn’t go well in your business? How did you handle your own psychology, and how difficult was it to be dealing with both the canceled PO and the lawsuit at the same time? 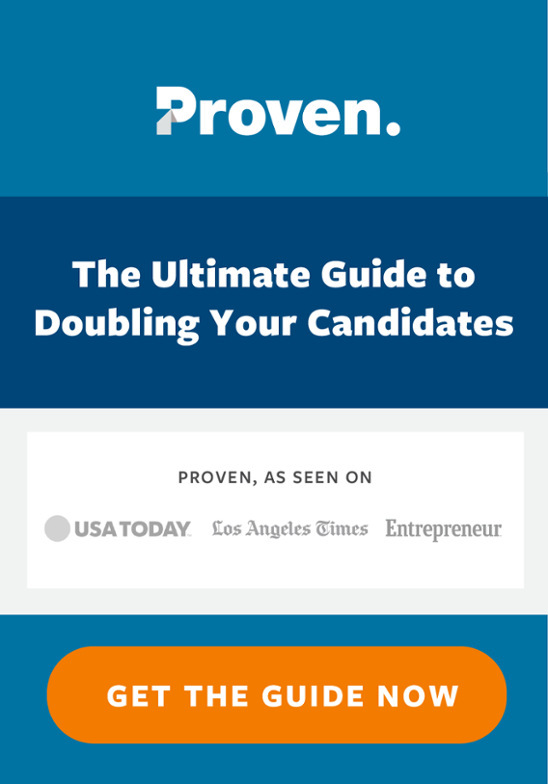 So knowing what you do today, and being more experienced as a business person and looking back on that, is there anything you would have done differently that you think could have made that situation better, before it got to the point where two folks in uniform show up with a phone book worth of a lawsuit? Where do you see your business going in the next 10 years? 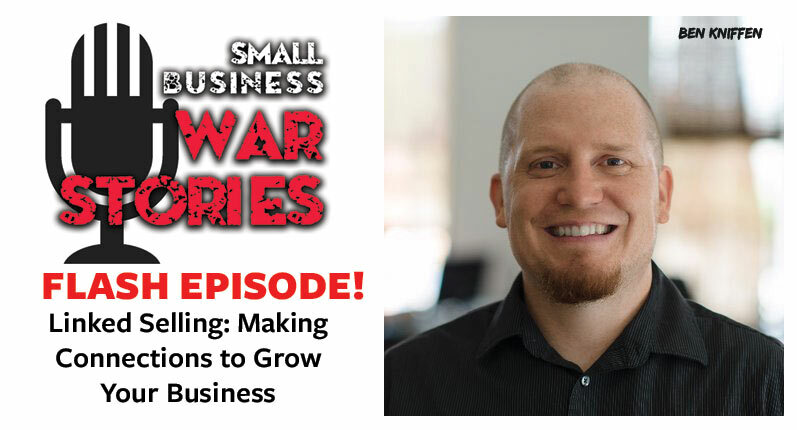 What would you say is the number one lesson or piece of advice that you’ve learned over the years that you would want to share with small business people? Is there anything else that you want our audience to know about your business? Do you sell directly to consumers if somebody wants to buy an amp today, is there a wait period or can they buy it straight off the shelf? Mark Baier: Well it was really a thing where I wanted to buy a Victoria amplifier, I was a consumer for guitar amplifiers. This was back in the early ’90s, and I guess the story is, my entire life I’d been a guitar player since I’d been about 9 years old, but never really had the coin to buy new stuff, I had always bought used gear. My life progressed, I did a number of things. I never really played professionally, seriously, and I found myself as a stockbroker with enough money to buy a new amp. So I decided, I guess I was probably in my early 30s, that I was going to go buy my first brand new guitar and amp. And I went to Guitar Center, and I bought a brand new reissue Bassman amplifier and a brand new Stratocaster. Now I happened to have a used Strat that I bought when I was in college and a used Bassman that I’d bought when I was in college, but I wanted a new one. So I bought this stuff, brought it home, plugged it in, and I was shocked, I guess is the word, disappointed at how poorly I felt that the amplifier performed that I just bought. I compared it to my old original Bassman, and it didn’t sound anything like it. It didn’t have the same character, the dynamics were different, the quality of the sound, everything, and it was advertised as being an exact copy of an old Bassman. This is when they first came out with them, and there was a review in Guitar Player Magazine, they were very laudatory, and I thought, “Well this is my ticket. I’ll buy a brand new Bassman rather than this raggedy old thing.” Cause the one I had was all beat up. Mark Baier: Yeah, well back then, when I bought it, it was just a used amp. I mean, there was no market for that stuff, it was literally the least expensive Fender amp in the store that was going to do what I wanted it to do. And I couldn’t afford a Super Reverb. I probably would have bought a Super Reverb, but the Bassman was $250 bucks or something when I bought it. Anyways, so I took the back of the new amp off and compared it, cause I wanted to see what was going on inside of it, and I compared it to the old one and while the circuitry may have been the same, technically, from a schematic standpoint, it was very clear that the amp was built very differently. The new amp looked like a computer on the inside of it, with ribbon cables and everything was on a printed circuit board, and the resistors and the capacitors with these tiny little things, little Chiclets that were on the printed circuit board, and when I compared it to my old one which was for the most part original, it had all these wonderful carbon resistors and these big yellow capacitors. Not being schooled in electronics, I got the idea that, “Well if I want an amp that’s going to sound like an old one, I guess I’m going to have to build one.” So I basically put myself through electronics school circa 1960. This was in the early ’90s. I was still a stockbroker doing that full time, had no intention or any proclivity to being an amplifier builder, I had no idea, you know? So it was almost like taking a class from 30 years before? Mark Baier: Well what I did is I went to the public library because I new I needed to know about electronics. I had no electronics background whatsoever, so in order for me to do this safely I wanted to at least get some understanding about what was going on. And because I was dealing with a vacuum tube product, what I did was I checked out basic electronics instruction books that were published prior to 1960. I didn’t want to know anything about transistors, I didn’t want it muddying things up. I felt like you got to walk before you run, so I was going to learn the basics of electronics as it related to vacuum tubes in the 1950s and that would allow me, in my mind, to understand what was going on with these Fender amps. So I did that. I checked out these books and I had learned about the basics of electronics, and because I had more money than common sense I was able to do things like have the chassis fabricated. Can you share a bit more about what it means to have a chassis fabricated? Mark Baier: Well these days, for anybody who wants to go build a guitar amplifier, there are a number of different distributors with catalogs that offer everything you need. From the raw chassis to the components, the transformers, the pilot light assemblies, everything is available out of a catalog now. You really, literally, just have to go get a Mojo catalog and you can become an amp company. But back then, that wasn’t the way it was. I had a friend who was in the sheet metal business, I had him make the chassis. I found another guy to chrome plate ’em, I found another guy to do the screen printing on them, and for literally every component in the amplifier I was successful in having these parts made. I mean I even found the manufacturer who made the wire for the original amplifiers and they had a minimum order of 5,000 feet of wire. You only need about 10 feet of wire at the end of the day in this thing, but I wanted the right wire and it became clear that I was going to have to order it from these guys, so I did, I ordered a spool of wire. Do you still have it laying around here? Mark Baier: Oh no, it’s all used up. I’ve been through a few thousand feet since then. I had the wire made, I had a very interesting encounter. One of the big components in an amp like this is the transformers, they’re very critical to getting the sound right, and I was lamenting the fact that I could not track the right one down. I had made calls to Fender who of course were zero help to me. I was just a nuisance to whatever secretary I was talking to at Fender, and I’d found the original manufacturer of the transformers and I called them up and they had changed hands a couple times by this time and they didn’t have any information on the part. I had the Fender part number from 1959, and I was laying these part numbers on these guys, they had no idea what I was talking about and Fender didn’t have any idea what I was talking about. So I was lamenting this to a friend of mine at a guitar show, and this guy I was talking to was the parts guy. You know, if you needed a bridge saddle for a 1966 Mustang, this is the guy who has the part. “I’ve got all the engineering specs you need to make those transformers brand new.” And he was kind enough to make photocopies of every one of them and send me every transformer that Triad made for Fender in the 1950s. He had all the engineering specs, and I’m not talking just superfluous stuff, he had all the super techy, you know, the type of wire, the type of varnish to use, the type of paper to use for the interleaving, the exact specs for the steel, everything. And every transformer we’ve used since day one has been based upon those drawings. They’re still made in Chicago-land up at Lenco in McHenry. They do a great job and it’s like literally going back in a time machine and buying a brand new transformer from the 50s. Mark Baier: That’s the way I like people to think about it, because you really are. I mean, we get every detail of the amp. Because I didn’t know anything about electronics, I didn’t know any better that a carbon film resistor is the same as a carbon composition, is the same as a metal film. Had I gone and gotten an electronics engineering degree I would have been taught that the type of resistor doesn’t make any difference, that it’s the resistance and the wattage that makes the difference. Old school resistors are actually kind of looked down upon because they tend to be noisy and the resistance value tends to drift over time, so the real propeller head scope jockey type guys, they don’t want that stuff. But I didn’t know any better, so I literally had to have the resistors made by the original company, the Allen Bradley company. Just maybe kind of peripheral to what we’re talking about, but I contacted Rockwell International, who owned Allen Bradley at that time, and I got a tip from a parts distributor that they were going to discontinue production of these resistors after they do one last run. So I was able to ride their one last run, but I had to buy a couple of hundred thousand dollars worth of resistors, and we’re still using them to this day. That was a lot of resistors, folks, and I still have a lot of them left. So every Victoria amp that’s made is still utilizing these Allen Bradley carbon resistors. What happens when those run out? Mark Baier: Well, I’ve developed a lot of good contacts in the electronics industry and I have faith that there’s enough stock of those out there where it’s not going to be the end of the road when I finally run out of 100k resistors. That’s going to be years down the line, we still have quite a few of them left. So basically your amp is like a time machine amp that allows you to buy what you would have bought back then instead of something that is like the big corporate version of that amp. Was Fender back then a very different operation than it is today? What is the most important aspect or component to an amplifier’s sound? What makes an amp sound the way it does? Mark Baier: Okay, well I guess the smartass answer is the person playing the guitar. I can make any amp sound pretty good because I’m a fairly decent player, but if you’re asking me, is there one component that stands out as having more influence than the others? Wow, that’s a toughy. And I’m going to say it’s everything summed together, I mean to what extent is the sound colored by the wire that you used? For instance, we’ll take the wire as an example. The wire in the old amplifiers was a solid conductor wire, it was a 22 gauge solid conductor wire. Modern wire is stranded. There are 20 different tiny little strands that make up the wire, and that’s so you could use a stripping tool to strip the insulation off and if you nick one of them and they break off it’s not the end of the world. But if you had solid conductor wire with a PVC jacket that you had to strip, if you nick that wire it would be prone to breaking right there. So this old wire, it’s a special kind of wire called pushback wire, and it has a cotton jacket on it that’s treated with wax and it’s not just like the stuff your socks ore made out of, but it’s designed so you cut the lead to the exact length you need and then you push the braid back and expose the lead so there’s no having to strip it. Well, in the mid-1960s that stuff was not UL approved. UL dropped their approval of pushback wire because it could light on fire, and modern types of wire that had to be used in the amplifiers and they were stranded wire. The point of the whole story is that in the audio realm, the audio signal travels through different parts of the wire depending upon the frequency. So low frequencies travel through the interior of a wire. This is why bass speaker wire has to be so big and stout because those bass frequencies, for the most part, go through the interior of the wire. And as you increase the frequency, it has a tendency to travel more and more on the exterior of the wire. So high frequencies will travel on the outside of the wire. Stranded wire, because there’s more leads per wire, has greater surface area, so there’s less impeding the high frequencies on modern wire. So modern wire will sound brighter and “treblier” than vintage wire. How do you judge and test the sound of an amplifier? How do you know when something sounds just right? Mark Baier: I just know, I play through every amp that we build. The girls over in the assembly area, Joanne and Maurine, they do all the chassis assembly where they wire the components and the chassis, then I get the chassis and I fit it in the cabinet for final assembly, and I put the tubes in it and make sure everything’s working, then I play through it. Over the years I’ve developed a pretty strong library of amp testing licks, you know? Cause I can’t stand to hear my own licks. The theme from Beavis and Butthead actually is one of my favorite. I primarily use Fender guitars to test. Strats and Teles because they’re very revealing and there’s not a lot to hide behind. When I’m testing an amp I don’t want the guitar to color things too much. I want to be able to hear the amp. Because for the most part these circuits were designed to be played through a Fender guitar, that’s what I usually use to test the amps. But I’ll plug a Les Paul or two in as well, but for the most part I play a Strat. I don’t play the Beavis and Butthead lick everyday because I get sick of my own stuff, so you got to kind of mix them up. Lately I’ve been doing a lot of surf band songs. So we’re doing a Hawaii 5-0, a Good, Bad, and the Ugly, I know the girls are probably tired of hearing the theme from The Good, the Bad, and the Ugly. I play the whistling part on the guitar. What’s your process to design and build amplifiers? Do you make mostly designs that were made originally by other companies or do you make your own? How does that work? Mark Baier: When the company started, I did nothing more than copy vintage Fender Tweed amps. Because I was successful in building my first few amps, I took them to a guitar show and I was very surprised that somebody bought them. I brought them there to show people, be all proud of them and everything, but people actually wanted to buy them so I sold them. This is right when the vintage market was catching up with Tweed Fender amps, and it was more expensive to buy an old one than it was for me to build one and sell one, so there was a demand for the product and the price was right, so I initially did nothing but build. If Fender built it in the 1950s, we had the ability to recreate it, so we did all that stuff. Well, those Tweed amps from the 1950s were great amps but they don’t have reverb and a lot of players want reverb, so in an effort to keep things moving and keep new product coming, we developed a Victorilux and the Victoriette, which are basically Blackface-inspired amplifiers. Those amps were designed by Fender in the 1960s but Victoria as a company came out with those. Those were our first proprietary designs, the Victorilux and the Victoriette, and then we came out with the Regal, and the Sovereign, and there’s a few others. But as far as what’s the design process, it really is based upon if I see a demand for something and I think something would add to the product line, I’ll go ahead and design it, I guess. What’s the landscape in the amplifier market? What’s the boutique market like? How do people see new vs. vintage amps? And how has that changed over time? Mark Baier: It’s super competitive as far as the boutique market, and it’s super competitive as far as the mass-production market goes as well. The music business is a big business, billions of dollars trading hands, and there are a lot of people who want to be part of the pie. As far as the vintage market goes, the stuff that is worth the top dollars, the stuff that started the whole thing, the Fender Tweed amps, anything made by Fender in the 1950s or 1960s, is going to command top dollar and there’s only so much of that stuff out there. So the price is just going up and up and up. What I’ve seen is amps that no one would really consider to be cool amps all of a sudden becoming cool amps. You’ve got the Sears Silvertone amps and old Supro amps and old Lapsteel amps and old Gibson amps. Oddly enough, Gibson, their amplifiers were very rarely as cool as their guitars were. And there’s reasons for that that may be beyond the scope of this, but Gibson amps, just anything now, pretty much anything that’s old and vintage, it doesn’t really matter if it’s actually cool or not, they’re starting to escalate in price. Mark Baier: They have that vibe. I think from a pure sonic performance point of view those Silvertone amps are great. Unfortunately, the Silvertone amps were not built anywhere near as good as the Fender stuff was. They’re less reliable, they have a tendency to need repairs, or they’re broken, or they’re gonna be broken. Mark Baier: We actually did that with a couple of Gibson amp designs. I haven’t gone after the Silvertone market, I’m not convinced that there’s enough demand for that kind of stuff to warrant doing that kind of boutique treatment on it. It really boils down to if the vintage piece is worth more than it costs me to sell it, well then it makes economic sense for me to go after it. But if the choices between a Victoria that’s going to cost $2,500, a copy of the exact same amp that you might be able to buy at $800 at a guitar show, most people are going to spend the $800 rather than the $2,500. But the Silvertones are going up in price, right? Mark Baier: Hey listen, it’s certainly possible that I will make them, and the design, the actual electronic design on those is competent enough that they’re probably worth doing something to, and in fact I wouldn’t be surprised if there’s guys out there that are maybe just copying the schematic and putting it in a different looking box. Mark Baier: Red’s in Clarksdale, Mississippi comes to mind. Red’s after hours is one crazy place. Well, the one night that I was there, there was a couple, big, big women, I’m gonna say big, they probably weighed 300-400 pounds, and they were having an out-of-body experience at Red’s, they were possessed by something. These girls were something else. With Red’s, you’d never know it was in there driving by in the daytime. It looks like a dilapidated building that somebody’s abandoned. But hanging out down there and meeting all those crazy cats in Clarksdale, that was pretty … a crazy experience. As far as other crazy things that have happened … Well, I could think of a couple of crazy customers? Mark Baier: One of the nuttiest was a Joe Walsh, the famous guitar player for the Eagles, Joe Walsh. We sold him a couple amps and he absolutely loved the amps, but he wanted me to make the middle control so that when he set the middle control halfway up, it sounded like it was all the way up. His thing was, he loved the amp. I’m talking to him on the phone and he goes, “Mark I love this amp, but I have to turn the middle control all the way up to get the sound I want.” I’m thinking okay, what’s the problem there, you just turn the middle control up. And he goes, “No, no, I only want to turn it halfway up and get that sound.” And I had to scratch my head a little bit and after I got off the phone with him I called his tech-op, his guitar tech, and like, “What the hell does he want me to do here?” He goes, “No, exactly what he wants. He doesn’t like turning anything on his amp all the way up. He wants there to be some room after all the way up in case he needs it.” So we had to redesign the circuit a little bit so that Joe could get the rotation on the control that he was looking for. Another weird one was with the Dylans. I was fortunate enough to sell amplifiers to Bob Dylan. And we sold Bob a bunch of gear, I probably sold him four Golden Melodies, a couple Bassmans. I never met him, though. So we build these amps for Bob and he loves them, and I get a call … I don’t know, this is maybe a couple of years after that, I get a call from his son, Jakob. His people call me, and Jakob is interested in a Victoria amp. And like, “Well that’s really cool, I sold his father these amps, he probably would like this amp that I sold his father.” He goes, “You sold Bob some amps?” And I go, “Yeah.” And the guy goes, “Well you got to be sure not to say anything to Jakob about that, because if Jakob knows that his father bought these he probably won’t want them.” And I’m like, “Okay, that’s interesting.” And he ended up buying the exact same model that his dad loved. The only person on planet Earth that I’m not allowed to tell that Bob Dylan owns one of my amps is Bob Dylan’s son, and if he listens to the podcast he’s going to find out. I guess the story I got is that they value their personal relationship so much and wanted to keep it so private that any kind of information I would have about both of them made him uncomfortable. They were so private and so protective of their personal life that this potentially interfered with that, so I thought that was weird. They have an absolutely excellent relationship, it’s just one that they don’t want the public to be privy to, so the fact that I knew both of these things out there. Can you think of a time when things didn’t go well in your business? How did you handle that? Mark Baier: Two things happened. In 2008 the whole banking meltdown had a big effect on Victoria. At that time we had a contract with Fender and we were making a few hundred amps annually for Fender that they were marketing and selling under their Gretsch brand. We designed, manufactured, and distributed from this facility the amps that were made between 2003 and 2008 that were branded Gretsch. We built a number of those and it was a really nice thing for Victoria. It was steady money, and it was quite an honor obviously to be able to do that. Well when 2008 came around, Fender stopped all that kind of stuff, and that was all over like that. And that was kind of a shock. But the biggest setback that we’ve encountered being in business is getting sued. And I got sued under the Lanham Act by a competitor who maintained that I had stolen one of his trademarked images. That logo behind you, the one that’s at the Shack Up Inn, that lightning bolt was allegedly an infringement of a trademark of another company, and this mo-fo sued me in a federal court under the Lanham Act. The Lanham Act is a federal statute which is meant to prevent people from fraudulently representing their product. So if you came out with a guitar and called it “Fendler” instead of Fender, well then that would be subject to Lanham Act because it’s purposefully confusing to consumer, you know? Well this was not that at all, this guy was just doing that to harass me and I got served a federal lawsuit. It was a big thick, thing delivered by a County Sheriff and it was serious as a crutch. It cost me a lot of money to defend the lawsuit which we eventually won, but I bought a few BMWs for attorneys that year, and it really ate into our operating capital. So to this day I’m still kind of clawing my way back from the double whammy of the 2008 Fender issue, and concurrent to that, getting sued. But see, the lawsuit came first in early 2008, and then Fender canceled all their purchase orders. And mind you, Fender had an outstanding purchase order with me for a couple hundred amplifiers and I got a letter from them saying, “If you can’t deliver these amplifiers to our warehouse in two weeks, then we’re going to cancel the PO.” Well they weren’t going to be delivered because it takes longer than two weeks. I was left with partially build chassis; I could show you all the inventory that I bought. I mean, the whole Fender deal was kind of screwy. I ended up buying a lot of the parts myself. It’s got all their stuff on there and the chassis is punched for the parts and the way we constructed them. So I’m sitting on hundreds of those chassis. How did you handle your own psychology, and how difficult was it to be dealing with both the canceled PO and the lawsuit at the same time? Sleeping must have been tough, how did you handle keeping yourself together? Mark Baier: I don’t know, liquor and drugs? Haha…I don’t know, just knowing that I was in the right. As far as the lawsuit goes it infuriated me. To make a long story short, I had a world-class branding artist by the name of John Casado, he’s a brilliant graphic guy, he’s this brilliant artist. He designed the logo and I was very proud of it, and it was at a NAMM (National Association of Music Manufacturers) show that I had banners with the logo on it behind my booth. And I was very proud of it, it was a very visually striking logo. If anybody listening has a chance to go look at our Victoria crown logo I think you’ll agree with me. Well the guy who sued me came up to my booth and started screaming at me, “You’ve got to take that down, that’s my trademark, you can’t use that lightning bolt. I have a trademark on it, you have to take that down right now.” And I’m like, first I thought he was joking man, and then it became clear he was serious when he physically got into my booth and started yanking on the banner, and we almost came to blows right there. He came back to my booth. He left and he came back a half an hour later with copies of all these trademarks. He’s pointing at them and he’s, “See, this is my lightning bolt. You copied my lightning bolt, and blah blah blah blah blah.” There are hundreds and hundreds of examples of lightning bolts and electron bolts being used to represent electronics. But at any rate, famous last words, I looked him in the eye and said, “So sue me.” And then a month later I got the lawsuit, and I mean we could spend the rest of this interview talking about that whole process because it turned out that it was a personal thing. Through no fault of my own, this guy ended up hating me personally because of little things that happened and how our paths crossed. Our paths crossed, through no fault of mine or no awareness of mine, but from his point of view, this guy at Victoria Amplifier’s got to go, he hated my guts. So when he saw that lightning bolt it was just the straw that broke the camel’s back. Mark Baier: Boy, looking back on it it’s hard to imagine how it would have played out any differently. Yeah, maybe I would have agreed to change the lightning bolt. Because eventually, to get the thing to stop, I’d motored through probably $125K on lawyers and ran out of money, and ended up getting pro-bono representation with the same law firm through a legal foundation in Chicago, and so my law firm agreed to work for free. That’s how strong my case was, so these guys knew when they were pissed off at what this guy was doing. But I didn’t want these lawyers working for free, you know? The fact that I’m getting free representation doesn’t mean they don’t have to work, I’m just not paying them and I felt bad about that. So I agreed to change the look of the lightning bolt in question very subtly, from a three segment lightning to a four segment lightning bolt. So a number of things happened in the legal realm that made it obvious to everybody involved that I was going to prevail in this lawsuit, but I agreed to change the look of the lightning bolt, and when we presented that to them they took it like that and that was the end of the lawsuit. So maybe I would have agreed just to change the look rather than standing on principle and, “He can’t do this to me because you can’t do this with lightning bolts.” I mean, maybe I would have forgotten about the principle of things and just been a little bit more pragmatic. But in the grand scheme of things it’s hard to imagine it playing out any differently because what I said, this particular fella who shall remain nameless, just had it in for me, and he was going to find one way or another to put the screws to me. Where do you see your business going in the next 10 years? You have this amazing shop here in the outskirts of Chicago, and you have a mint brand name in the music industry, but at the same time there’s this tension between being able to crank out and work on every amplifier and test every amplifier yourself, and if you were to make five times as many that would be harder, right? Mark Baier: Obviously, well that’s a good question. The question is do I want to remain kind of at this small scale and build things one at a time? And in a good year I think I’d be happy to ship between 350 to 400 amplifiers. Now if I were shipping 2,000 amplifiers obviously I’d make more money. How do I see it in 10 years? I see developing new products. It’s very important to me to develop new products to keep things in the pipeline. My biggest competition are amps I sold 15 years ago. I built them so well they work perfectly fine, so there’s a lot of them used available, and truthfully that is literally my biggest competition. So it’s important to me to innovate what we have and to come out with some new products, and to that end, we’re going to come out with some small head units. We never really focused on head style amplifiers which needed a separate speaker enclosure, we strictly for the most part done combo amps that have the speaker and the amplifier all in one box. We’re going to experiment with some small head designs that we can keep the price point low. If I’ve learned anything in the last 8 years where the economy’s been kind of lean, it’s that pricing is everything right now. Prior to 2008, people didn’t think twice about dropping a lot of money on a guitar amp, but the consumer out there nowadays is a little more careful about where they spend their money. I mean, every dollar’s sacred these days so my focus is going to be on developing new, smaller, more cost-efficient amplifiers to market to our customers. So over the next 10 years our primary business which has been these Tweed Fender style amps is probably going to ebb in favor of the new stuff. I’ve thought about going the Howard Dumble route and charging 20 grand for an amplifier, and just being a total recluse with a 10 year waitlist. Mark Baier: Wow, that’s a big question right there. Watch your money, you know? There’s a great wisdom, I think it’s King David wore a ring that had the profound wisdom written on the inside of the ring, and that profound wisdom was, “This too shall pass.” So when you’re having boom times and you’re selling a bunch of stuff, whatever it is, whether it’s swimming pools or it’s a landscaping business, whatever, you’re going to have down times and up times and it’s not always going to be boom times. It’s not always going to be lean times. The advice would be, if you’re super successful, don’t forget that it could turn on a dime. So watch your money, don’t be cavalier with spending. Put away for a rainy day. Just don’t depend on everything to be the days of wine and roses because things do change in business and they could change through no fault of yours. What’s it like to do business in the Chicago area? What’s been your experience here working with the business community, with the government? Mark Baier: Oh, it’s been a blessing. It’s a huge metro area obviously, there are a lot of musicians and a lot of talent, a lot of places that my product can find its right use, professionals using it. I often think about that, if I had been born in Kansas City would I have been able to penetrate the market the way I have, and be as effective and be as well known? And I think the answer’s no. When I first started out I’ve always been primarily a blues guy and the amount of access to world class blues musicians and venues, this is probably the best town on Earth for that kind of thing. So I was able to meet and do business with Buddy Guy, like the very first year I was in business I was selling Buddy Guy amplifiers, Otis Rush, the late Luther Allison. We did business with the House of Blues when House of Blues opened in the mid ’90s here in Chicago. So having access to all this vibrant economic activity, I think being in Chicago was a blessing, it was a very positive thing. Really, probably the most important person I would really be remissed not mentioning, Bob Margolin. Bob Margolin played guitar for Muddy Waters for years and I got to know him over the years, and when I built my very first amps I got in contact with him. He wrote a column every month for a blues magazine called Blues Review Quarterly, and I called up Bob and asked him if he’d be interested in listening to my amp and maybe mentioning it in the magazine, and he was very receptive to that. I sent him an amplifier and he gave Victoria Amplifier our first and probably one of our best reviews I ever could have gotten. And this was back before the internet, so people actually read magazines and it really meant something to, in print, have Bob Margolin write these lovely things about me and the Victoria amplifier that we had sent him. So right out of the gate, the blues community was very anxious and very ready to want to fall in love with Victoria Amplifier, and I put it all on Bob Margolin. He was so instrumental in this kickoff, and it’s something I couldn’t have purchased. If I had bought an ad in that magazine, it wouldn’t have had anywhere near the impact of this personal story that Bob related, so we really got our foot in the door by being tight with the world class blues musicians I had access to in Chicago, and then of course Clarksdale. It just kind of grew from there. Mark Baier: Well thank you, it’s all about the tone, it’s all about building something with love and knowing that people are going to venerate it for years and years to come. Is there anything else that you want our audience to know about your business? Where can people find you, what are your websites, are you active on social media? Mark Baier: I wish I were more active on that stuff. I’m kind of an analog guy, so my ability to manipulate web stuff is pretty limited. We have a website, VictoriaAmplifier.com. I have a presence on Facebook but I don’t really know how to use the business side of Facebook. I have a personal Facebook page and we have the Victoria Amplifier Facebook page, but that would be just VictoriaAmp.com or you could call us here at the shop, 630-820-6400. I still pick up the phone, so if you want to talk about tone or soldering or old Gibson amps, give me a call. I like Instagram. I go through spurts with Instagram, I’ll post videos of me testing an amp, and one of the things I think I should do more of and I don’t because it’s just me and the girls, I had a dream of every amp I build I was going to make a little video and put it on Instagram. I haven’t done it, I’ve done it for about a fifth of them, or maybe less than that, but yeah, I think it’s Victoria Amplifier on Instagram, and there’s a lot of posts and little videos on there. Mark Baier: We will sell directly to consumers in special circumstances, like when Bob Dylan’s people call. I do prefer that consumers patronize our dealers because it’s our dealers that keep me in business. Chicago Music Exchange, Humbucker Music, we got the Amp Tramp down in Nashville, TrueTone Music in L.A., Rudy’s in New York, and I’m leaving a ton of them out, Dave’s Guitar in Lacrosse. They’re all excellent dealers, and they all keep pretty good stock. But yeah, you’re certainly free to call and talk and if you have a special need or the dealer’s too far, if you live in the middle of Montana where I don’t have anybody reasonably close, then we can talk. Mark’s start in the amplifier business is such a fun and incredible story. Most of us would have lived with the disappointment of a sub-standard product, but Mark chose a different path. One that would lead him to changing his entire career and starting his own successful business.